The Wind in the Willows by Kenneth Grahame narrates the adventures of four animal characters, viz, Toad, Mole, Ratty and Badger. Its delightful descriptions of the idyllic river bank of the English countryside and the dangerous world of the wild woods have made it a modern classic that is as well-loved by adults as it is by children. Helping Young Children Learn can be directly used by teachers in pre-primary schools, and by parents of young children. It is also relevant for teacher training programmes, as it integrates and early learning theory with classroom practice. The Happy Prince and Other Stories is a collection of modern fairy tales by Oscar Wilde. First published in 1888, the stories are intended for reading aloud to children but have a message for adults as well. The original collection contained five stories --- â€˜The Happy Princeâ€™, â€˜ The Nightingale and the Roseâ€™, â€˜The Selfish Giantâ€™, The Devoted Friendâ€™, and â€˜The Remarkable Rocketâ€™. While playing tennis, Kiran Bedi felt her long braids became more and more of a nuisance, as they kept dangling in front of her face and disturbing her game. Once, when she couldnâ€™t stand this any longer, she got her parentâ€™s permission and ran to the menâ€™s saloon across the road and got her hair cut. This is how she got her boy-cut, which later became a trend among girls. She was glad that at an early age, she learnt how to prioritize simple things in life. As children, Abdul Kalam and his best friend Ramanadha Sastry sat together in class. Ramanadha Sastry was the son of the head priest. One day, a new teacher who came to their class objected to the fact that a Muslim boy sat with a Hindu Brahmin. In a harsh manner, he asked Abdul Kalam to go and sit at the end of the class. This incident hurt both boys. The head priest took strong action against the teacher. He summoned the teacher and said that he can no longer teach in that school. The teacher learnt his lesson that his duty was to teach religious harmony and not to poison little minds with superficial differences. He asked for Kalamâ€™s forgiveness and seeing that the head priest allowed him to continue teaching. In 1982, as the Asian Games were only a year away, the Governor of Delhi called for Kiran Bedi and gave her the herculean task of regulating the chaotic Delhi traffic. Kiran Bedi became better known as â€˜Crane Bediâ€™, as she hired all the cranes in the city and towed away wrongly parked vehicles. One day, a sub inspector towed away a VIPâ€™s car that was parked wrongly. This happened to be the then Prime Minister Smt. Indira Gandhiâ€™s car! In spite of this, Kiran Bedi appreciated and supported the sub inspector for carrying out his duty conscientiously. Abdul Kalam was always fascinated by the flight of birds. He knew he had to study engineering to realize his dreams of designing machines that could fly, like aircraft. While studying at the Madras Institute of Technology, Kalam was asked to design a fighter jet for his final project. One day, his professor came to review his progress and expressed disappointment. He was so upset that he asked Kalam to show him a better design in 3 days or he would cancel his scholarship! The next few days, Kalam put his entire energy into the project, as he had to prove himself and save his scholarship. All his stress finally paid off and his professor was very impressed and happy with his project work. The first attempt to launch SLV-3 was unsuccessful. As expected, there was a press conference immediately, where reporters had many questions. While Abdul Kalam felt responsible for the crash, his chairman Professor Satish Dhawan took it upon himself to answer all the questions with confidence. He promised the media to launch SLV-3 exactly a year later. The entire team worked doubly hard to make it happen, and a year later, it was a grand success! There was another press conference, but this time, Prof. Satish Dhawan gave the mike to Abdul Kalam. To him, Prof. Dhawan was an ideal and inspirational team leader. One day, while travelling, Kiran Bedi stepped into the ladies compartment. All the women beat her up. They all thought she was a boy because of her clothes and haircut. She was pitilessly dragged to the compartment door, and her shoe fell off the train. She managed to act quickly and let the other shoe fall, so that whoever gets her first shoe, finds a pair for use. She later read that the legendary Mahatma Gandhi had also done something similar when one of his slippers fell off the train. He had then continued his journey barefoot, happy that his slippers would be of use to someone. The people of the country were not sympathetic about the delay in launching the AGNI missile. After repeated failures, Kalam addressed his team; he encouraged them and finally announced that AGNI will be launched successfully in the very next trial. His words rejuvenated his entire team and they began to work with renewed energy. Several dignitaries were invited for the launch. On the eve of the launch, the Defense Minister asked Kalam how he wanted to celebrate the AGNI success. Kalam asked for a thousand saplings to be planted in their Research Centre. The next day, Mother Earth blessed them with the success of AGNI as it was a smooth launch. Abdul Kalam secretly wished to study in a good school, but he knew that his parents could not afford it. To his great surprise, his father had arranged for some funds and decided to send him to The Schwartz School at Ramanathapuram. One day at school, by mistake Kalam ran into the wrong class, where he found his Math teacher who insulted him and caned him in front of the class. Kalam felt crushed, but this renewed his zeal to study hard and make his people proud. That term, he scored full marks in Math. The same teacher then appreciated him in public and this praise quite made up for the earlier humiliation. The Secretary of the Tennis Association, who issued railway concession forms, loved to keep people waiting in a queue. Kiran Bedi used to travel extensively for her tennis tournaments so she needed a concession form, but she had to stand for hours in this nearly static queue. One day she finally lost her patience and boldly said to the Secretary, that thanks to his ways, she has learnt not to ever waste anyone elseâ€™s time. Hearing this, the Secretary got furious and later intentionally deprived her of participating in Wimbledon, although she was eligible for it. Kiran Bedi was heartbroken for a while, but remained thankful to this gentleman for teaching her to value othersâ€™ time. The years spent at Tihar Jail were the most fruitful years of Kiran Bediâ€™s life. At first, she was taken aback by the filth and darkness of the prison. She then decided that she would bring about a change in this hell on earth. With a group of trusted officials, she worked on improving the hygiene and general condition of the prison. For the prisoners, she designed programs that kept them engaged in useful activities. To break the barriers of religion, she gathered all of them to take part in various religious festivals. The prisoners had opportunities to study and were taught to practice meditation. By the end of her stay at Tihar jail, she had transformed the prison into an Ashram. Anne Birrell has translated representative narratives drawn from over a hundred classical texts in the course of her work on various aspects of Chinese mythology, and here she introduces a splendid selection especially for the general reader. Lucidly retold using English equivalents for the Chinese names, these lively mythic tales are full of colourful episodes and vivid characters. Helpfully organised by themes and motifs which set them in the context of mythology the world over, these stories are a fascinating treasure trove that has long been inaccessible and unknown to many readers. India has long been regarded as the home of Hinduism, its mythology constituting the backbone of Indian culture. The myths have been adapted over the centuries to incorporate new or revised characters and continue to play a central role in modern Indian life. Retold here in their colourful and dramatic splendour, they touch on the key narrative themes of creation, preservation, destruction, delusion and the bestowal of grace. They also portray the main deities of the Hindu pantheon—Shiva, Vishnu and Devi—and their relationships with anti-gods, nymphs and ascetics. Drawn from a variety of sources, most notably the encyclopaedic texts the Puranas, the myths range from the early centuries ad to the sixteenth century, conveying their enduring appeal and the religious teachings derived from them. This books contains 37 illustrations. The traditional tales and stories of ancient Iran describe confrontations between good and evil, the victories of the gods, and exploits of heroes and fabulous supernatural creatures such as the magical bird Simurgh and the div or demons. Much of our information about Iranâ€™s pre-Islamic past comes from the holy book of the Zoroastrian religion, the Avesta. Although not written down in its present form until the thirteenth or fourteenth century, parts of the Avesta date back originally to between 1400 and 1200 BC. As well as the words of the prophet Zoroaster and stories about Ahura Mazda, the Wise Lord, it also incorporates earlier pagan myths which reappear in the Shahnameh (Book of Kings). A magnificent epic in rhyme completed in ad1010 by the poet Firdowsi and featuring his most famous hero, Rustum. Dr Curtis draws upon all of these sources to retell for modern readers the stirring legends of ancient Iran, which have inspired centuries of manuscript illustrations. This book contains 42 illustrations. In a dark, gloomy cave, upon a high, steep hill, lived the wicked demon Bhasmasura. Such was his magical power, that if he touched anyoneâ€™s head, the person turned to ash and fell down dead! â€œWhoâ€™ll help us,â€� the people cried. But Mohini shook her head, she listened to no one. And, off she wentâ€”over the mountains and hills; till she came to the cave, ghostly and chill. Read this story in verse to discover how clever Mohini killed Bhasmasura. Read this magical story in verse of how Ganesha was born. A towering figure of the Bengal Renaissance, Tagoreâ€™s influence on Bagla literature has still not diminished. During a long and creative career, he excelled in the different art forms that he practised-poetry, drama, music, novels and short stories. In 1901, he founded Shantiniketan (Adobe of Peace), in Bolpur near Kolkata, an educational institution where education was to be imparted in an unrestricted manner. He was the first Indian to win the Nobel Prize in 1913, for his poetic work Gitanjali (An Offering of Songs) which he himself had translated into English from his various volumes of poetry. He was knighted in 1915, but returned Bagh massacre of 1919. He died in 1941, heartbroken by a number of personal tragedies and disillusioned by the outbreak of the Second World War in Europe. Through primarily remembered as a poet, Tagoreâ€™s short stories have earned a pride in modern Bangla literature. The stories in this collection are respresentative of Tagoreâ€™s writings. We find the empathy of a father for a stranger in The Kabuliwala, the sorrow of parting in The Postmaster, the comic in When Wishes Come True and the social divide that riches cause in The Return Gift. The Orient Blackswan Easy Readers introduce the child to the enchanting world of reading, which encourage him/her to read with little or no external help. These well-illustrated books are carefully graded into seven levels. The series begins at Level 1 and is meant for beginners in the age group of 5 years. The other levels are: Level 2: 6â€“8 years, Level 3: 7â€“9 years, Level 4: 9â€“11 years, Level 5: 10â€“12 years, Level 6: 11â€“14 years and Level 7: 15 years and above. This careful grading, based on age-appropriate vocabulary and structure enables the reader to progress through the successive levels. The current titles mainly include the classics and also have those that suit modern tastes and interests. This is a value pack with five storybooks accompanied by an animated CD/VCD with five animated stories. This unique combination of interesting and colourful stories uses Same Language Subtitling (SLS), a new and award-winning concept that helps a child relate phonetic sounds with visual sub-titles to accelerate the development of reading skills. The following stories are included in Storytellers3. Tooi, the parakeet, becomes a part of Gattuâ€™s family. But one day, she flies away. Will Gattuâ€™s friend ever return? Gattu befriends a squirrel and names her Chikootichoo. Guess who decides to move in with Gattu? While cleaning the air cooler, Gattu and his mother, Baa, come across two friendly creatures. Gattu and Baa adore the new rose plant. Have they forgotten about the family of Langoor monkeys that pass by every month? Oonderbhai, a mischievous little mouse, troubles Gattu and Baa to no end. He nibbles at everything in the house. Something has to be done! Gattu, the central character in the books, is based on the popular character from the primetime serial on Star Plus called Baa Bahoo Aur Baby. The content has been developed by BookBox, a social venture with the mission of making reading an integral part of every childâ€™s life. The Orient Blackswan Easy Readers introduce the child to the enchanting world of reading, which encourage him/her to read with little or no external help. These well-illustrated books are carefully graded into seven levels. The series begins at Level 1 and is meant for beginners in the age group of 5 years. The other levels are: Level 2: 6â€“8 years, Level 3: 7â€“9 years, Level 4: 9â€“11 years, Level 5: 10â€“12 years, Level 6: 11â€“14 years and Level 7: 15 years and above. This careful grading, based on age-appropriate vocabulary and structure enables the reader to progress through the successive levels. The current titles mainly include the classics and also have those that suit modern tastes and interests. Walking by the river in the woods one day, Parvati decides to make for herself a plaything of mud. As she rolls and shapes the cool, smooth clay, a beautiful mud baby emerges... Read this magical story in verse of how Ganesha was born. Matsya is a tiny fish in the huge ocean. Manu, a fisherman brings Matsya home and takes care of him until Matsya grows into a very big, wise and beautiful fish. Then, he lets Matsya return to the ocean. One day, it rains and rains. There is water everywhere. Read this story to find out how Matsya returns to save Manu and his family, and all the people and animals in the world from drowning. BookBox produces delightful stories from around the world in over twenty-four languages. It engages authors worldwide to create and adapt stories based on unique cultures and traditions. Once Upon a Monsoon Time is the author's recollections of his childhood spent in an old palace by the Arabian Sea and in his grandmother's house in Dehra Dun. The story revolves round his relationship with his father who is as central to the story as the young boy himself. It also records his love of trees and the vibrant life nurtured by them, his explorations of the fascinating stories woven around the palace as well as his grandmother's most cherished possessions preserved carefully in an old trunk, his interesting array of friends and his varied experiences with them as he grows up and begins to understand the world even as his familiar surroundings start to fall apart. This book is about a little boy of ten, Gagan, who lives in the city of Calcutta with his parents. His grandmother lives in a village by the forest and runs a small hospital for the animals. The jungle animals instinctively love and trust Amma, and limp over to the hospital whenever one of them in wounded or unwell. A naughty but affectionate monkey, a parrot, a rabbit, a baby deer, a peacock, a fox and a cow elephant are some of the patients Gagan meets at his grandmotherâ€™s clinic. Gagan is enchanted with the animals and Ammaâ€™s jungle hospital. A charming story of animals and human beings, the book will delight children as well as help them understand the need for conserving wildlife and forests. Monika and her two cousins, Pravir and Roomy, form a small group devoted to the protection of the environment. They discover the world of through adventure, mystery and romance. From Nainital to Delhi and back they make friends, explore places of interest together and even solve the mystery of a â€˜Green Ghostâ€™ in a haunted house. The Three Greens, as they call themselves, are just as curious as they are environmentally conscious. They learn from their peers, elders and from nature. Engagingly told these stories conduct us through small experiences and seek solutions to serious environmental issues. An Elephant Story celebrates the wonderful bond that can develop between an animal and its keeper. The story opens dramatically as readers are amazed to find the elephant Kannan keeping vigil outside the hospital where his mahout, Nandan, has been admitted. In 'flashback' we are told of how Nandan, as a boy, was fascinated by elephants and ran away from home to become a mahout. Many years later he returns home as a full-pledged mahout and is given charge of the temple elephant, Kannan. Nandan devotes himself to looking after Kannan and soon the two become inseparable. One day, Kannan goes into 'musth' and rampages through the village. It is the final test for Nandan as a mahout--will he be able to bring Kannan back in control? A sensitive tale of a loving and faithful animal friend, An Elephant's Story brings home to its readers, yet again, the need to treat other living creatures with love and kindness. This book is the latest in our attempt to make literature in Indian languages available to a national audience through translation. Tiger Fry and other tales is a collection of stories selected and translated from the original Bangla title Choddo Pidim (The Fourteen Lamps) by Gauri Dharmapal. Set both in rural and semi-urban settings, these stories bring together animal and human characters. The first story is about a small boy who wants to eat a tiger fry and what happens when he bites into the miniature paneer tiger he is given to eat. The second story highlights the friendship between two tiny creatures, a honey bee and a black ant, while the last one is a more conventional tale of a woodcutter outwitting a couple of tigers. It is a sad birthday for the baby blue whale. Nobody has wished him because he has grown too big for his age, but still his party turns out to be a merry one. Four Stories from the Mahabharata are a part of the parallel narrative of the epic and tell the stories of four girl who come from different backgrounds. Sukanya is a princess, Shruvawati and Suprabha are simple girls living in hermitages while Shweta is a court dancer. What is common to them is their spirited personality, their acute sense of self respect and their ability to hold on to their principles and convictions at all costs. Love comes to each one in a different way, changing her life completely. But they all choose to take fate in their hands, living a life of courage and action. Great Expectations (1861), one of Dickensâ€™s later novels is more mature and serious than his earlier works and less harsh and critical of Victorian society that Dickens is known to caricature. This novel, whose hero Pip is an orphan, reads more like a detective story. The story opens with little Pip meeting an escaped convict in the churchyard on a cold December evening in an almost surreal setting. As the story unfolds, we find Pip asked to wait upon a strange old lady, Miss Havisham, and becoming infatuated with her beautiful ward, Estella. Soon thereafter, Pip inherits a handsome property left to him by an unknown benefactor. He leaves for London, soon forgets his childhood friends and leads a life of leisure. After Pipâ€™s twenty-fifth birthday, his benefactor makes himself known and Pip realises the irony of his good fortune. With the unravelling of his own position, Pip grows in moral stature. Great Expectations is the story of Pipâ€™s coming of age. This book introduces the child to enchanting the world of reading. The current title includes the classics and also hopes to have those that suit modern tastes and interests. The Adventures of Huckleberry Finn (1884) tells us the story of Huckleberry Finn, known to his friends as Huck, whom we first meet in The Adventures of Tom Sawyer. After being adopted by Widow Douglas, Huck tries very hard to lead a civilised life, but has to contend with his brutal father. Fed up with his fatherâ€™s cruelty he runs away. Soon he meets up with old Jim, a runaway slave. They decide to raft down the Mississippi River and they have the wildest adventures on the way. The brilliant description of the Mississippi is from Twainâ€™s own experiences as a steam-boat pilot. The sensitive portrayal of Huck and Jim, the hilarious crudity of the duke and the king and the staging of the â€˜Nonesuchâ€™ play, are but a few elements that make it one of the worldâ€™s greatest books. David Copperfield is not fictionalised autobiography but its nature reflects Dickensâ€™s thinking and writing over a period of years. The story of David Copperfield has many parallels in Dickensâ€™s own life, especially his childhood. He too, like David was sent to a blacking factory, when his father, John Dickens was imprisoned for debt. This period, as Dickens himself says, was the darkest in his life and the shame and resentment he felt, made his sufferings a secret he could not share with anyone. Thus, from a first-hand knowledge acquired under unhappy circumstances, Dickens gives his readers a glimpse of the unsavoury side of Victorian England-struggling poverty and debtorâ€™s prisons. There are many characters in the novel whom Dickens knew and many places in London that David visits were frequented by Dickens himself. The novel also gives us two unforgettable characters-Uriah Heep and Mr Micawber, the latter being party based on Dickensâ€™s father. A Tale of Two Cities (1859) is set against the backdrop of the French Revolution and the â€˜reign of terrorâ€™ that followed. The story takes us back and forth between London and Paris-the two cities-and revolves around the lives of Lucie Manette and Charles Darnay. Against the grim background of the guillotine, unfolds a tale of adventure and mystery, heroism and courage. We see the quintessential Dickens as he vividly portrays the trials and tribulations of the poor at the hands of the rich, before the Revolution and the mindless mayhem that follows it. This historical novel is unusual for Dickens, whose other major works are set in Victorian England. The Call of the Wild (1905), considered a classic, is a story of survival and grid. It is the enduring tale of Buck, the half sheepdog, stolen from his comfortable Californian home to work as a sledge dog in the Northland. London creates an imaginative natural universe, where the main character, the dog Buck behaves and thinks with rational dog-logic. This collection of short plays is an adaptation of traditional stories from around the world. The stories have been selected not only because they have remained favourites over time but also for their creative possibilities in terms of reading aloud, elocution and drama. The happy man's shirt is a story from Europe. From Greece we have the tales of Hercules and the cart-driver, Mercury and the woodcutter and Philemon and Baucis. The paper-maker, a story from China, tells us how the festival of lanterns began. And from Arabia we have the story of The two brothers. This is a collection of charmingly told tales involving animals. The themes are universalâ€”the triumph of the seemingly weak over the mighty, the possibility of magic in daily life, etc. The language is simple but strongly evocative of both the physical and the emotional. Chunni was a daughter of the mountains. She lived in a village in the heart of Himachal Pradesh where four mountain roads twisted, turned, bumped along met and parted. Of all the roads, Chunni found the Hindustanâ€“Tibet road which was still being built most interesting . . . it was a road where things could happen . . . The fast-paced narrative tells the story of how Chunni, along with her brothers, Munna and Mutto, Pema and Babaji catch the nasty spy. An exciting adventure, with a fair bit of interesting geographic detail. The Hungry Emperor is a story of a rather fussy emperor. Read it to find out how he is taught never to be fussy again! The Clever Barber is a story about how a courtierâ€™s wife solves the problem of a painful lump on the emperorâ€™s head. This book is a collection of ten ghost stories based on real-life encounters. These spooky stories are meant for young readers, around twelve years of age. Vinegar King is a story of a small boy who saves an emperorâ€™s life with vinegar. Who would have thought that vinegar could be so powerful! Hot Soup is a tale of a soup-seller who becomes very rich after a lucky meeting with a stranger. Read and find out how. Poor Gombe outwits the mighty Lord with the help of his resourceful wife. A famous Japanese wrestler finds his match in three strong women. A trapped snow crane returns to serve the poor woodcutter and his wife. You can read all this and more in the second volume of folktales from Japan. Pawan and Naveen escorted by their Uncle Manjit decide to cross the awe-inspiring mountains. Their journey is to take them through the Thamsar Pass to Bir. They are accompained by Tiger, a dog adopted en route, and David and Bushan, who befriend them. Dhumer Singh, the muleteer, joins them as their guide. But are the mountains safe? Will they be able to brave the cold? And the wild animals? Will the trek be successful? In this collection of Japanese folktales meet the Oni Demons and the clever woman who escapes from their den the shining Little Star, the singing and dancing kettle, the kind, old man who gifts his hats to the six Zizosama, Bunbuku, and the lovely weaver princess and her handsome herdsman. The stories have been translated from the Japanese and have been beautifully illustrated. Read about the magician Jabbo Jadoowala, the enterprising mouseâ€™s harvest feast, the new baby, lost Ramu and the clever bulbul in this collection of read-aloud stories. This anthology deals with the lives and works of eleven scientists in various fields: J. C. Bose in the Physical and Life Sciences, P. C. Ray, S. S. Bhatnagar in Chemistry, C. V. Raman, S. N. Bose and M. N. Saha in Theoretical and Experimental Physics, S. Ramanujam in Mathematics, H. J. Bhabha in Nuclear Physics, Vikram Sarabhai in Space Research, Birbal Sahni in Paleobotany, Salim Ali in Ornithology. 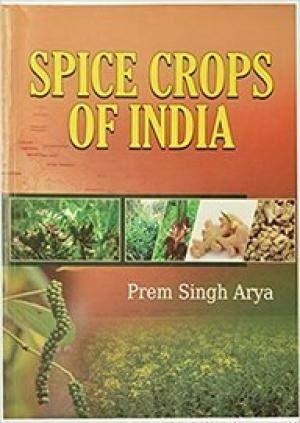 The author also chronicles the growth and development of modern scientific culture in India. 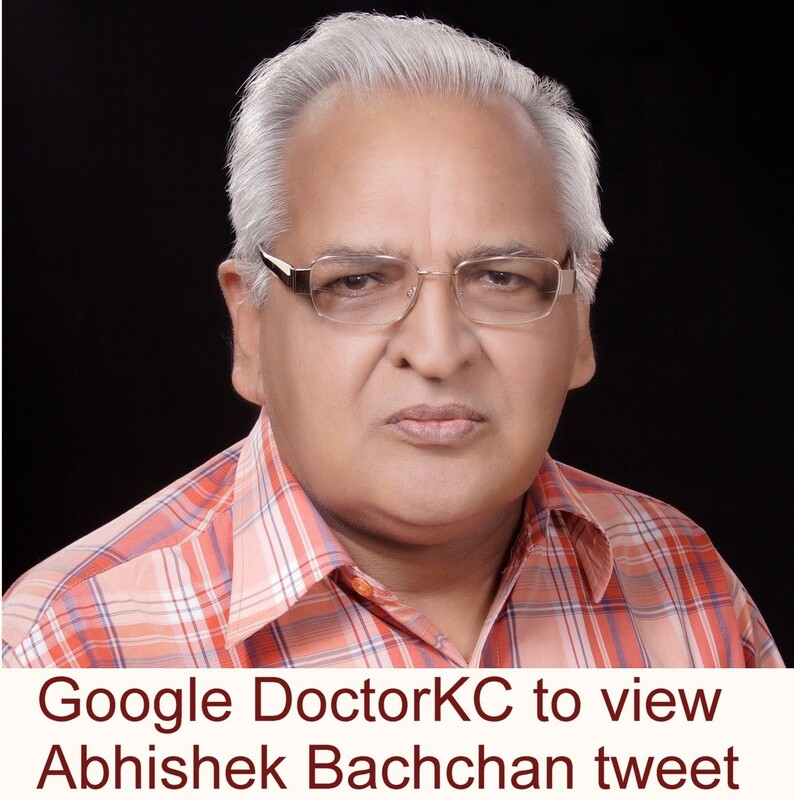 No similar collection of biographies is available. â€œWith shaking hands Anand opened the right-hand drawer of the dressing table . . . .â€� Anand didnâ€™t know what to do. How could he ever be happy again. His friend Rami, the gardenerâ€™s grand-daughter, and the gardener had been sent away and it was all his fault. Maybe â€“ just maybe â€“ his and Ramiâ€™s old rag doll Seethu could help him. For Seethu could think; she could talk; she was a wonder doll! At last... the eagerly awaited new edition of one of the most trusted and popular books on infant development is here! Completely redesigned, with 50 brand-new games and all new illustrations, this indispensable book shows you how to build important developmental skills while enjoying time with your baby. Use these everyday activities to nurture and stimulate self-confidence, coordination, social skills, and much, much more. 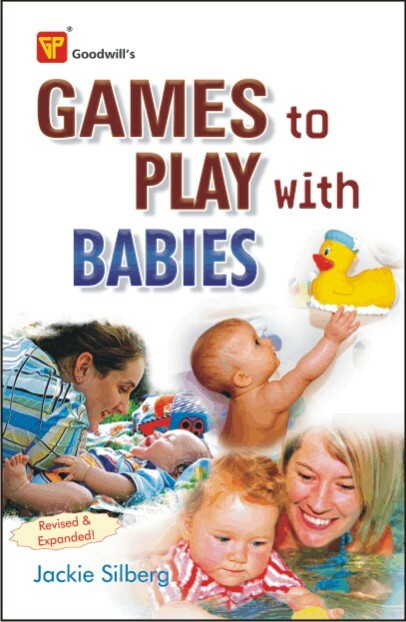 Give your baby a great start with this wonderful collection of over 225 fun-filled games! Nearly half a million teenagers deliver babies each year in United States, and many of the fathers of these babies are also teenagers. Yet most parenting books are written as if all parents were adults. A parent who is still an adolescent is part of two worlds, and these two worlds may be in conflict. A teenage parent's life is quite different from the lives of her/his non-parent's life is quite different from the lives of her/his non-parent peers. It may also be quite different from the young families who delay childbearing until both parents have completed their education and are not able to form their new own household. I have worked with hundreds of pregnant and parenting teenagers during the past thirty years. Because our school district provides an infant center to care for their babies, many of these young mothers continue attending school on campus after they deliver. Many have fallen into parenthood accidentally, but it is no accident that many are good parents. They've had help along the way from their families and their community, and, most important, they work hard at their parenting job. This book is a parenting guide especially designed for teenage parents. A major part of it are the comments and parenting suggestions from young people who are practicing parents, teenagers who have children of their own. Some are married, some are single. Whatever their marital status, they are more likely to have money problems than are older parents. Many live with their own parents because of their age and/or lack of money. Names of parents, their children, and a few personal details have been changed in the quotes in order to protect confidentiality. Parents' and children's ages have not been changed. Their comments are real, and quotes are almost always in the exact words used by the young parent. 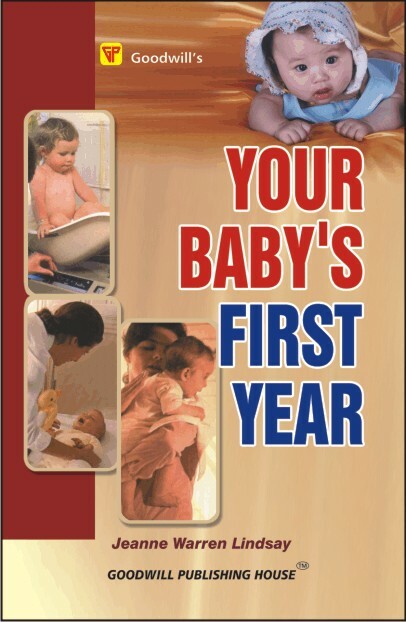 Your Baby's First Year is part of a six-book series for pregnant and parenting teens. Other titles are Your Pregnancy and Newborn Journey and Nurturing Your Newborn, both co-authored by Jean Brunelli, PHN; Discipline from Birth to Three, co-authored by Sally McCullough; The Challenge of Toddlers and Teen Dads by Lindsay. Chapter 5 of Your Baby's First Year is written directly to teen fathers while chapter 6 focuses on the special needs of mothers who parent alone. The rest of the book applies both to single parents and to couples who are parenting together. Parenting at 15, or even 17, is an extremely difficult task. In fact, parenting at any age is quite a challenge for most of us. I hope this book will help young parents understand a little better the world of babies during that all-important first year of parenting.